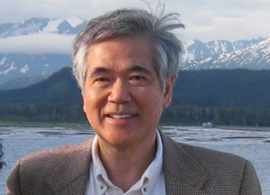 Ray Liu received his Ph.D. degree in Chemistry from Southern Illinois University in 1976. Dr. Liu joined the faculty of the University of Illinois at Chicago as an Assistant Professor in 1977, in 1980 he moved to the Central Regional Laboratory of the EPA in Chicago, and in 1982 to the U.S. Department of Agriculture's Eastern Regional Research Center in Philadelphia as the Center's mass spectrometrist. In 1984, he joined the Department of Justice Sciences at the University of Alabama Birmingham (UAB) as an Associate Professor and was promoted to the rank of Professor in 1989. Currently, at UAB Dr. Liu serves as the Director of the Graduate Program in Forensic Science and the Director of the Interdisciplinary Forensic Science Doctoral Training Program. Dr. Liu's research findings have made very significant contributions in several areas related to workplace drug testing programs. In 2002 he was awarded the Taiwan Department of Health Medal for his contributions to health in Taiwan. He has authored or co-authored four books and more than 100 articles. Professor Liu is a laboratory inspector for the U.S. Department of Health and human Services' National Laboratory Certification Program, serves as scientific consultant for the Taiwanese government on health and justice matters, and is a resource person for the U.S. Coast Guard's drug testing program. Dr Liu is the Editor-in-Chief of Forensic Science Review and serves on the editorial boards of Journal of Analytical Toxicology, Journal of Forensic Sciences, Journal of Food and Drug Analysis, and Encyclopedia of Forensic Sciences, as well as the organizational committees of several national and international professional meetings.